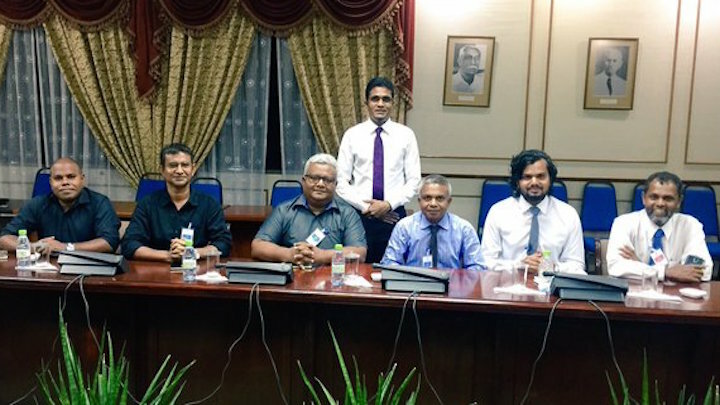 A revised bill on criminalising defamation and imposing severe restrictions on free speech was introduced to parliament last Tuesday without addressing concerns raised by Maldivian journalists. Majority Leader Ahmed Nihan withdrew a previous version of the bill after a consensus emerged among Maldivian media that passing it into law would be the death knell of press freedom in the country. 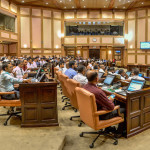 But MP Jaufar Dawood of the ruling Progressive Party of Maldives submitted a revised defamation bill earlier this month without any substantial changes. While Nihan’s bill prescribed fines of between MVR50,000 (US$3,200) and MVR5 million (US$324,000) as penalties for violations, the new bill lowered the upper limit to MVR2 million (US$130,000). Offenders who fail to pay the court-imposed fine would face a jail term of between three to six months. The previous version mandated a one-year jail term. Aside from defamation, the bill also criminalises expressions that are either contrary to societal norms or deemed to pose a threat to national security. 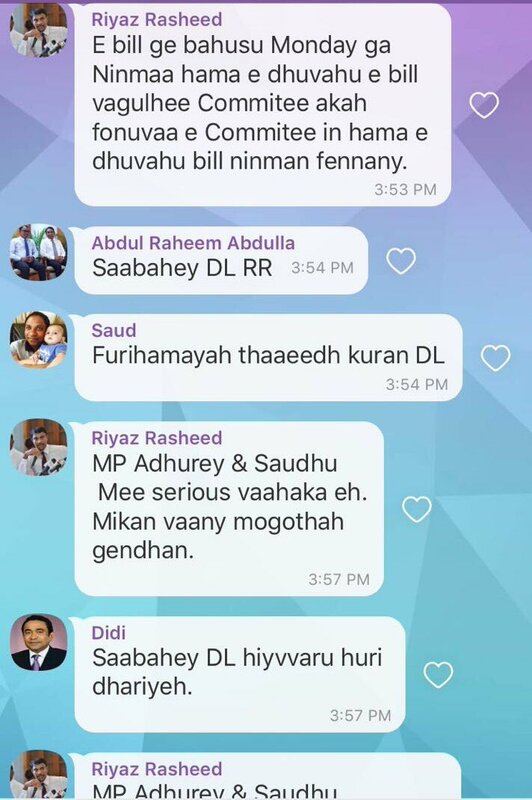 A leaked conversation among PPM MPs on their Viber group has meanwhile stoked fears that the bill could be passed this week. 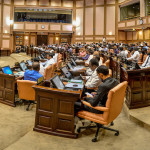 MP Riyaz Rasheed, deputy leader of the PPM parliamentary group, suggested fast-tracking the bill by completing the preliminary debate and the committee review on Monday. 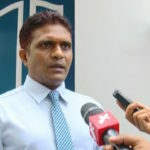 Riyaz told newspaper Mihaaru last night that the ruling party-dominated parliament is not in a rush to pass the bill. However, it will ultimately become law in its current form, he said. 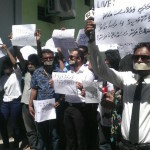 A group of concerned journalists meanwhile met outside the Maldives Media Council office this morning to discuss a course of action. 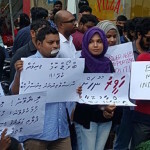 Ali Naafiz, assistant editor of Mihaaru, told The Maldives Independent that the most concerning aspect of the legislation is that it places the burden of proof on journalists. Restrictions imposed by the law would also hinder investigative journalism, he argued. “The legislation will ultimately give the government full control over media. Provisions in the bill, such as societal norms and national security, can be interpreted in any way one sees fit,” Naafiz said. Azmoon Ahmed from the opposition-aligned Raajje TV, four of whose journalists are presently standing trial, expressed concern with a provision that could prevent reporting allegations if the person it is directed at refuses to comment. The bill states that failure to reach the defamed person for comment cannot be accepted as a defence in court. Azmoon suggested that the primary purpose of the bill is to protect President Abdulla Yameen from allegations of corruption over the unprecedented theft of nearly US$80 million from state coffers. 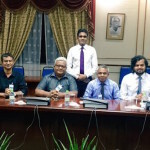 The main opposition Maldivian Democratic Party also claims to have evidence of Yameen’s involvement in money laundering and terrorist financing. According to the bill, if the defamatory remarks are not published in the media, victims can file complaints with the police, who will investigate and forward cases for criminal prosecution. The bill also criminalises defamatory remarks posted on social media and blogs. However, it exempts statements made at a parliament sitting or committee, the cabinet, and courtrooms. Teachers, academics, and public announcements by the police would also be exempt. Reporting illegal conduct or cover-ups by state institutions as well as actions that endanger lives or the environment would not be considered defamation. The state’s media regulatory bodies can meanwhile issue warnings, compel outlets to remove content and publicly apologise, suspend media outlets or programmes, and impose the fine of up to MVR2 million. Individual journalists will also have to bear legal responsibility and a court judgment can only be appealed after the fine is paid. The People’s Majlis decriminalised defamation in November 2009 during the administration of former President Mohamed Nasheed. The country has since plummeted in the RSF’s World Press Freedom Index. The Maldives is now ranked 112 out of 180 countries. Additional reporting by Shafaa Hameed.